It's no secret that the majority of power supplies on retailers' shelves tend to be rebadged, tweaked versions of a handful of designs manufactured by companies from Taiwan, and there's no shortage of high-quality power supplies on the market from established players. 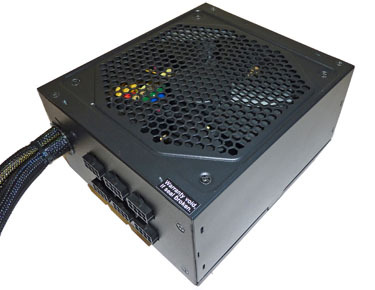 We believe there's always room for another PSU if it manages to balance quality against cost. Rosewill, a hardware 'rebrander' from California and an in-house label for retail giant Newegg, is hoping to jump into the premium end of the market with the release of an 80 PLUS Platinum-rated supply called the Tachyon. Available in capacities of 550W, 650W, 750W and 1,000W, and all rated to perform with Platinum efficiency, it's good to see mainstream wattages served up with high-end credentials. 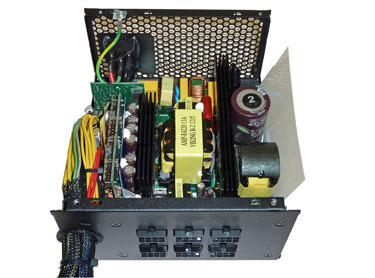 Too often firms reserve the best technology for 1,000W-plus PSUs. Our focus today is on the mid-pack 750W supply, priced at around £135. The unassuming exterior is rather bland in appearance and Rosewill branding is conspicuous by its absence. Sizing is a standard 150mm x 86mm x 170mm (WxHxD) and a 140mm sleeve-bearing fan dominates the top-side. More function over form, six modular power connectors and an on/off switch puncture the rectangular enclosure's smooth lines. 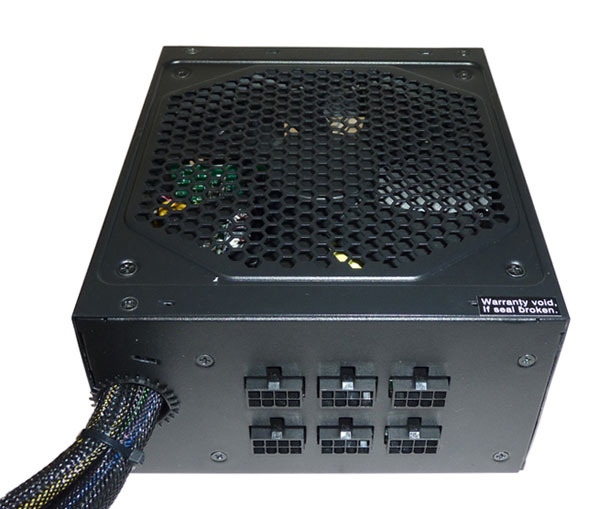 As shown on the above pictures, the supply is semi-modular, with four 55-60cm wires pre-connected - main 24-pin ATX, 8-pin CPU, 4+4-pin CPU, and two 6+2-pin PCIe - which, save for SATA, are enough to power most builds. Sleeved all the way into the supply the 24-pin motherboard cable and 8-pin CPU use thicker cabling (AWG16) while the remainder make do with the industry-standard AWG18. 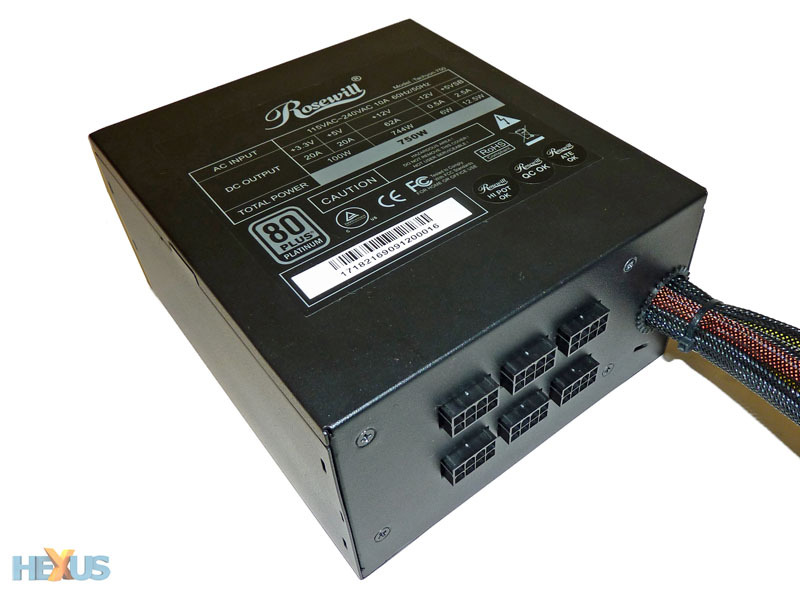 We're not sure why Rosewill hard-wires two 8-pin CPU connectors - surely most users will only use one and therefore the second could be provided in modular form? An additional six wires are bundled in that can all be connected to the supply. Two runs each have four SATA cables, two have a total of five Molex and a floppy connector, and the final two each have a 6+2-pin PCIe connector. 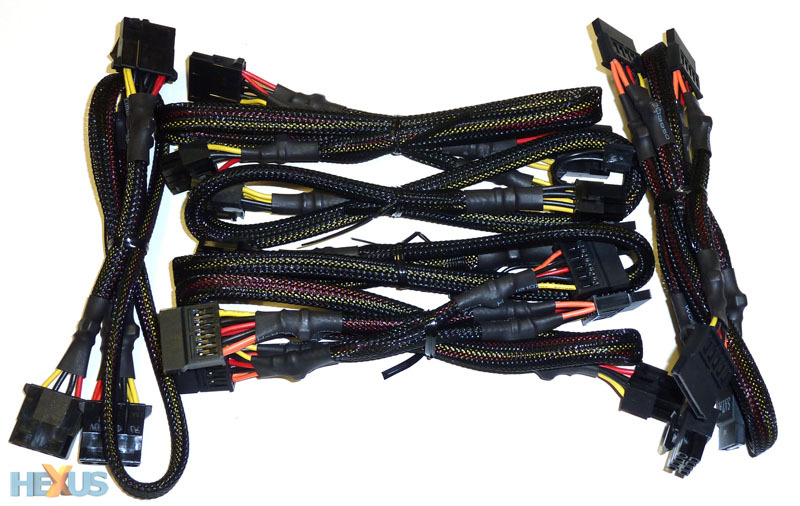 Though eight SATA are ample for most builds, we reckon a high-end supply needs to have more. All cables are of a reasonable length, starting off at 50cm for the first connector and a further 12cm for subsequent plugs. 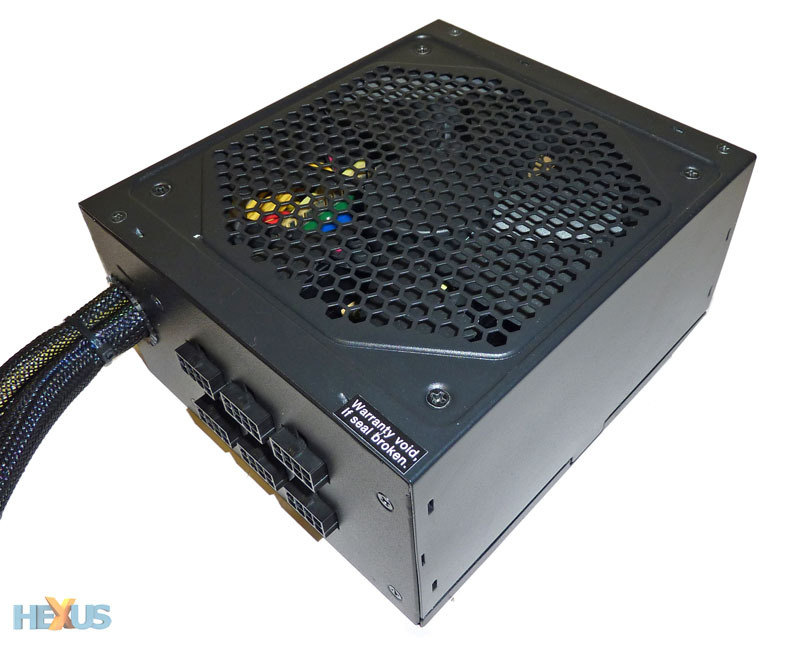 Take off the cover and PSU aficionados may recognise that Rosewill uses a rebranded Super Flower SF-750P14PE. This is no bad thing, as the design has benchmarked well for other rebranders such as AZZA and Kingwin. Being a Platinum-rated model, efficiency is top-notch, but Rosewill doesn't use hybrid fan technology, where the 140mm spinner is switched off at low loads. Inside, it's fairly basic in architecture. Initial filtering is good, consisting of four Y-type caps and three X caps, though Super Flower/Rosewill does without a metal-oxide varistor. 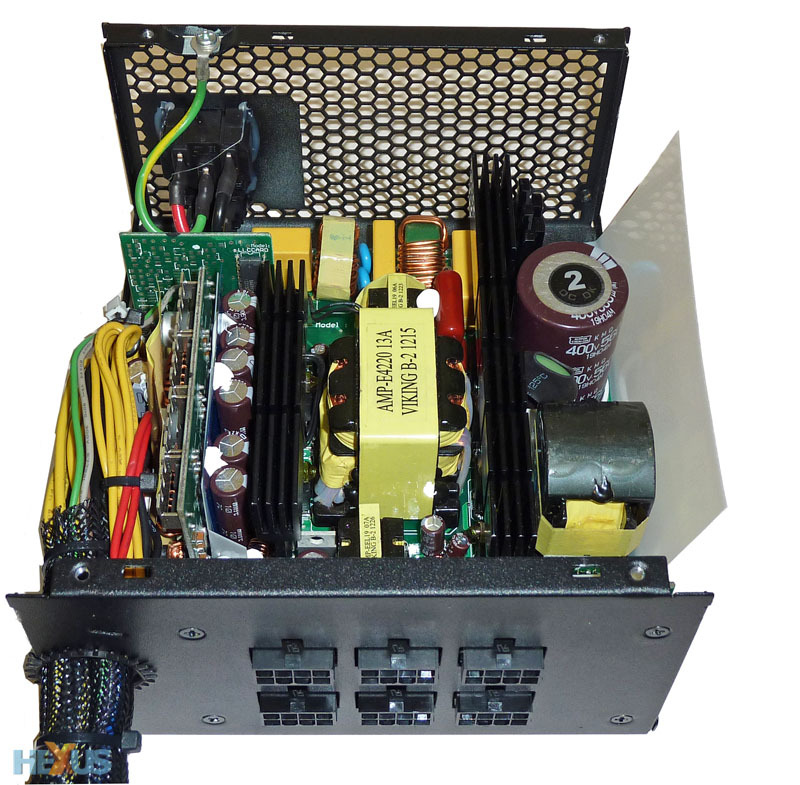 The single filtering cap is a Chemi-Con 560uF x 400V and rated at 105°C. 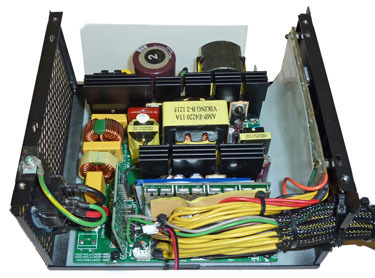 Like many modern supplies, keeping efficiency high means using a DC-to-DC topology, which dictates the minor rails are pulled off the 12V by what are termed mini-PSUs. Soldering is decent, if not excellent. Reinforcing the notion that this is a 12V DC PSU in the main, practically all the capacity can be shunted down the single 12V rail. Ticking off the required checklist, the maximum continuous rating of 750W can be doled out at a toasty 50°C. 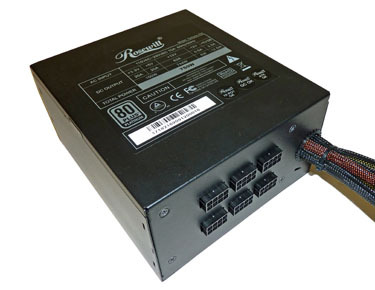 Rosewill backs up the supply with a five-year warranty. Priced at $180 Stateside, or the same as the impressive Corsair AX760, it needs to be very good in order to trump the established competition.